Now that we’ve allowed the dust to settle on the Tribe’s 2017-2018 season (19-12, 11-7 CAA), it’s never too early to look ahead to next year…is it? Absolutely not. But before we do that, we want to address a loud minority of angry Tribe fans who have been hating on the team and its coach since the end of the CAA Tournament: enough is enough. W&M has now reached the CAA Tournament Semifinals 5 years in a row, qualifying for the CAA Championship in 4 out of the last 11 seasons. For an academic school that recruits true scholar athletes, W&M typically finds itself at a disadvantage from the get-go; what Head Coach Tony Shaver has done with this program over his tenure is truly remarkable. 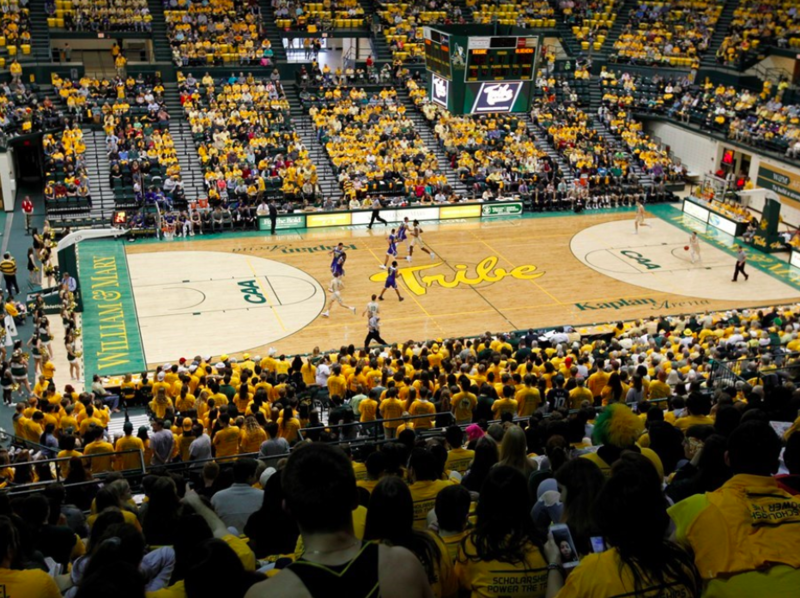 Since 2008, the Tribe leads all league teams in CAA Tournament victories (13) and championship game appearances (4). In the 18 years prior to head coach Tony Shaver’s arrival in Williamsburg, W&M totaled just two CAA Tournament wins. Good luck finding another coach who will be more productive than that. Let’s not forget that two big-time players transferred out of W&M this past year just prior to the season: Jack Whitman and Greg Malinowski — two players that we projected to be starters this past year. And despite preseason CAA polls that had W&M finishing #8, the team finished #4 overall, making it it to the CAA Semifinals, losing to the eventual tournament champion and hometown Charleston Cougars. We say enough with the loud minority. Tony is here to stay; no coach is more deserving of an NCAA Tournament berth than he is. Despite losing two all-time players to graduation, including W&M’s all-time assists leader (David Cohn) and his running mate Connor Burchfield (the most deadly 3-point shooter in W&M history), in addition to a consistent contributor and ODU-killer in Oliver Tot, the Green and Gold will next year be led by one of the strongest, if not the strongest, junior classes in the entire CAA. Much will be expected of this talented bunch, as they will be joined by a promising class of freshman this coming season. However, W&M will be strapped for depth, as we’ll look for Coach Shaver to develop his players throughout the season. [Projected Starter] #12 Luke Loewe, Sophomore, Guard (6’4”, 192): Following the graduation of David Cohn, the Tribe will have some incredibly large shoes to fill — and that’s an understatement; to start, sophomore Luke Loewe will likely be given the first shot out of the gates. This past year, Loewe saw limited action, averaging 5.2 minutes and 1.1 points per game (just 10 made buckets). We wish Luke could have gained more experience on the court this past year, but with David Cohn playing at an ever-increasing level, we understand what Shaver was thinking. During Loewe’s senior year in high school (Fond du Lac, Wisconsin), Loewe shot over 55 percent from the floor and made 34 3-pointers (20.1 points per game) en route to becoming the #1-rated point guard in the class of 2017 in Wisconsin and the #4 overall player in the state. He has the tools to get the job done, and we’d like to see him get back to his scoring ways next season in the collegiate ranks. [Projected Starter] #2 Matt Milon, Redshirt Junior, Forward (6’5”, 195): Milon joined the Tribe this past season after sitting out a year, following his transfer in from Boston College. Over the past season, Milon proved himself as an absolutely deadly three-point shooter with incredible range, connecting on 77 shots from beyond the arc (to Connor Burchfield’s 89). These numbers easily solidified himself as one of the top three-point shooters in the CAA. Overall, Milon would finish the season averaging 13 points per game — which we actually thought was lower than his potential. Over the first 16 games of the season, Milon finished with 17+ points in 8 different games. However, over the last 15 games of the season, he reached 17+ points just 2 more times. Again, he’s an absolutely deadly three-point shooter, who can more than adequately fill Connor Burchfield’s shooting guard duties next season. But moving forward, we’d like to see him maintain consistency throughout the year, and fully believe he will do so this coming season. [Projected Starter] #13 Nathan Knight, Junior, Forward (6’10”, 235): The Tribe’s undisputed #1 player — the team’s go-to on both the offensive and defensive sides of the court, W&M’s Nathan Knight will be the centerpiece for this Green and Gold team for the next two seasons. Finishing this past year averaging 18.5 points and 7.3 rebounds per game, Knight also took home 2nd team All-CAA honors in addition to being named to the CAA’s All-Defensive team. In this year’s CAA Tournament, he was also named to the CAA All-Tournament team — making him the only player who was not on either Charleston or Northeastern’s rosters (the two teams that made the CAA Championship). As you might imagine, when the offense ran through #13, W&M found itself finishing games on top more often than not. However, all too often this past season, Knight found himself in foul trouble, as opposing teams would drive to the lane, forcing Knight to take some bad fouls. 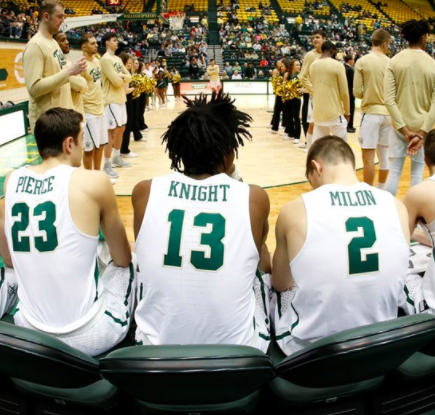 We’ve said it time and again, the longer Nathan Knight can stay in the game, the greater the odds are that William & Mary will win. If he can consistently stay in contests next season, he has the potential to carry this team all the way to the promised land. We’re not kidding; he’s that good. [Projected Starter] #34 Paul Rowley, Redshirt Senior, Forward (6’8”, 205): THE JUDGE! What more can you say about the personification of the W&M basketball team itself, Phi Beta Kappa recipient and (soon to be) 2nd Year W&M Law Student, Paul Rowley — hence, the Judge (was there ever a more apt nickname?). 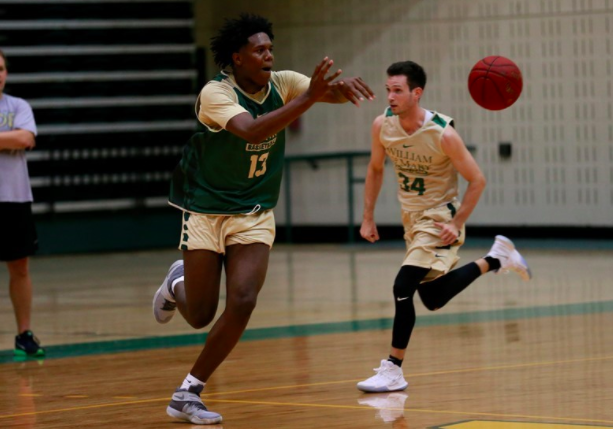 In a season where W&M was thin on the depth chart, Rowley filled in admirably for Nathan Knight this past year when Knight would get into foul trouble. A player that can not only shoot threes consistently, Paul played admirably on the defensive end in the paint when called upon. After averaging 19.5 minutes and 6.2 points per game this past year, we expect both of those numbers to shoot up, including Paul’s points per game total to double digits. However, we can also envision a scenario in which Shaver starts Jihar Williams or one of the true freshmen (such as L.J. Owens), so that he can sub in Rowley to take out Nathan Knight at the big man spot. We’ll wait and see here, but this may actually be the most likely scenario if W&M doesn’t land a big man recruit by then. [Projected Starter] #23 Justin Pierce, Sophomore, Forward/Guard (6’7”, 215): After a fast start to the season (double digit point totals in his first 7 games), Justin Pierce would cool off, finishing with double digit point totals in 3 out of the next 9 games, before going on a tear to end the season. One such stretch over the back half of the year saw Pierce finish with the following point totals: 27, 23, 30, 15, 9, 33, 24. A pure scorer who can make his own shot, Pierce will be one of the Tribe’s primary cogs this coming season. Don’t be surprised of he finishes with the most points per game next season, as his 14.7 PPG was second only to classmate Nathan Knight this past year. As mentioned, W&M has perhaps the strongest cohort of juniors in the CAA next season. But will it be enough? It’s likely that a couple freshman will have to work their way into the rotation this coming YEAR if the Green and Gold is looking to make a run at the CAA crown next year — with Northeastern and Charleston likely coming in as the preseason favorites following an incredible 2018 CAA Championship game. Coach Shaver has the boys lined up and ready to go, and we’re excited to see what the 2018-2019 season holds. LET’S GO TRIBE!!! Ran into W&M’s all-time assists leader, senior captain David Cohn. A stand up guy, and true scholar athlete, we couldn’t be more proud to have him join us as a W&M alum. Good luck to David in the next chapter of your career! LET’S GO TRIBE!!! Did you forget Chase Audige? He will add to our depth. Coach Shaver at the final Lunch With Tony. Great catch! And awesome insight from the lunch, thanks for sharing. We’ve updated the article to include Chase!